Of all the items in Dota 2, the title of “most fantastic and out-of-this-world” belongs to Aghanim’s Scepter. As the only piece of equipment that directly modifies certain abilities and ultimate skills beyond just simple buffs to their base values (i.e. damage, cooldown timers, etc. ), it is perhaps one of the most unique items in a competitive multiplayer game. In fact, its impact on certain heroes is so large that it is often found on several of their core items lists—sometimes with more expensive weapons taking a backseat to the scepter of the mighty wizard Aghanim. In some cases, Aghanim’s Scepter even adds new abilities to a hero’s kit, making them either more versatile or twice as effective as they would be without it. Some of these abilities are so good that the mere purchase of an Aghanim’s Scepter can turn what otherwise would have been a total uphill battle into a hard-fought victory. Apart from its claim to fame, though, Aghanim’s Scepter also adds quite a good amount of extra stats, making otherwise fragile heroes significantly more durable and supplying much-needed mana to spell-dependent picks. But of course, not every Aghanim’s upgrade is made equal; some are fairly lukewarm compared to others, and others don’t even have upgrades to speak of. In the former case, buying the item is more of a luxury thing than a hard requirement, and it’s important to distinguish which ones can be skipped in favor of items with more utility or ones that cover critical weaknesses. This guide aims to separate the best upgrades from the worst, so that you and your team can make better-informed decisions when it comes to this item. Note that this won’t be an exhaustive list, as some upgrades are just not even worth considering. Ice Blast is already one of the best abilities in the game against heroes that are dependent on health regeneration to survive, but it becomes way more potent with an Aghanim’s Scepter. The upgrade sets its duration to a flat 17 seconds, which can be devastating against certain drafts. With the greatly increased cast range of Primal Roar, Beastmaster can initiate without having to put himself in much danger. The decreased cooldown also gives him much more uptime, allowing him and his team to gank and fight more often. One of the best Aghanim’s Scepter upgrades in the game, Centaur Warrunner can protect his team by casting Stampede, reducing all incoming damage by a whopping 40 percent. What’s more, he and his teammates gain free pathing while they have the Stampede buff, giving them infinite freedom of movement as long as they aren’t rooted, stunned, or disabled. Clockwerk’s Aghanim’s upgrade is very simple: the cooldown of his ultimate ability Hookshot is reduced to 12 seconds, down from 70/55/40 seconds at each level. Though small on paper, the upgrade massively increases his map presence and ability to threaten key targets in the mid game, and can definitely help your team gank heroes aggressively. Later in the game, Clockwerk can leverage the reduced cooldown to stun several heroes in rather quick succession, which can be valuable in the clutch. After the break mechanic was removed from Doom’s ultimate ability, his effectiveness at shutting down certain heroes that relied on passive skills was diminished immensely. Grabbing an Aghanim’s Scepter returns the mechanic to its rightful owner, allowing Doom once again to terrorize heroes like Phantom Assassin, Bristleback, and more. 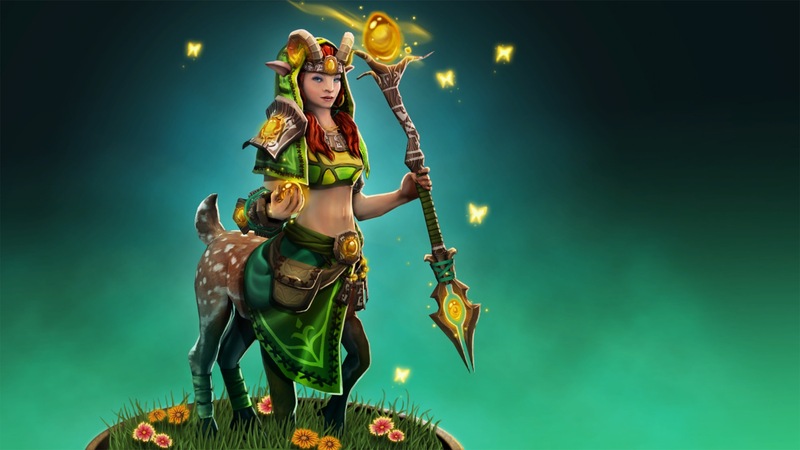 Enchantress‘ Impetus gains more cast and attack range, thus increasing its damage output and consistency. The upgrade also allows her to stay in the backline for longer periods of time, chucking Impetus shots from a safe distance. Invoker’s reliance on rapid-fire spellcasting in the late game means that his ultimate ability needs to be at the ready often. Aghanim’s Scepter reduces its cooldown to two seconds, facilitating the use of his entire arsenal in one teamfight. Having access to both of his Spirit Form abilities at all times during the day makes Keeper of the Light a much bigger threat as a support. Also, having a massive burst heal to work with in the daytime can make five-on-five teamfights and high ground sieges way easier. Team Liquid’s Maroun “GH” Merhej made a name for himself in 2017 by routinely keeping his teammates alive with his clutch heals, and bagged himself an International title for it—so this upgrade literally has world championship pedigree. Adding a fourth Meepo clone to work with makes Meepo that much deadlier, and even more difficult to deal with. Razor’s upgrade allows Eye of the Storm to strike faster and more often, and makes it so that even affects buildings. With it, you and your team can push extremely fast, thanks to the armor reduction applied by the ability onto buildings that it hits. 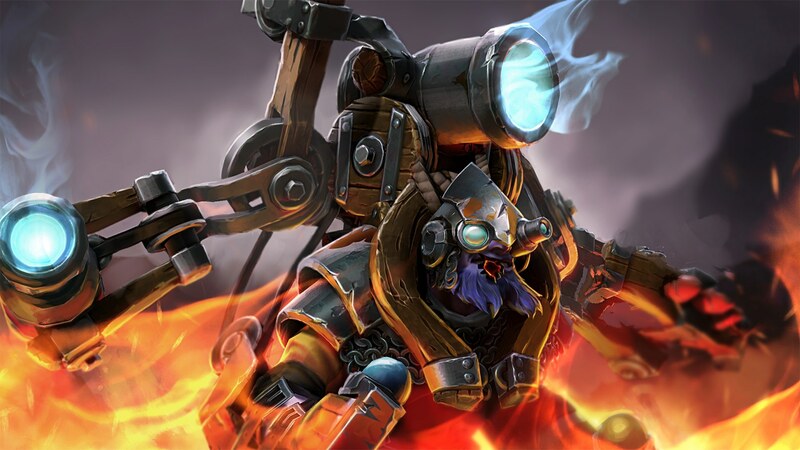 Tinker gains twice the number of Heat Seeking Missiles once he gets his Aghanim’s Scepter, thus doubling his damage output from long range. This can be especially useful when defending your base, particularly if you have vision over the enemy team as they position themselves at your tier 3 tower. What you really want with his upgrade, though, is the refracting Laser, which can completely destroy teams that dare to stick together too closely. Because Warlock relies so heavily on his ultimate Chaotic Offering, having two golems to summon instead of one in one cast means that Aghanim’s Scepter has great value on the hero. Moreover, enemy heroes will get less gold bounty per golem kill, which makes them less of a liability when left alone. Witch Doctor’s Death Ward is perhaps his most important ability, as it provides tons of DPS in teamfights without having to commit to chasing targets. Aghanim’s Scepter causes it to bounce between enemies that are close to each other, which can be devastating if Witch Doctor himself is not dealt with quickly. Windranger can turn into a true hard carry with her Aghanim’s Scepter upgrade, which softens the damage reduction that Focus Fire applies to every attack. The reduced cooldown also affords her extra flexbility when it comes to choosing her targets in combat.